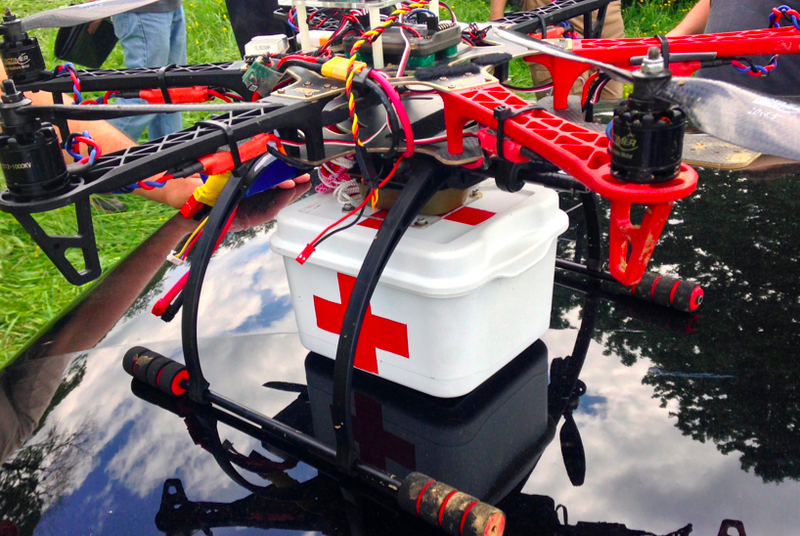 UAVs can support humanitarian action in a variety of ways. Perhaps the most common and well-documented use-case is data collection. There are several other use-cases, however, such as payload transportation, which I have blogged about here, here and here. 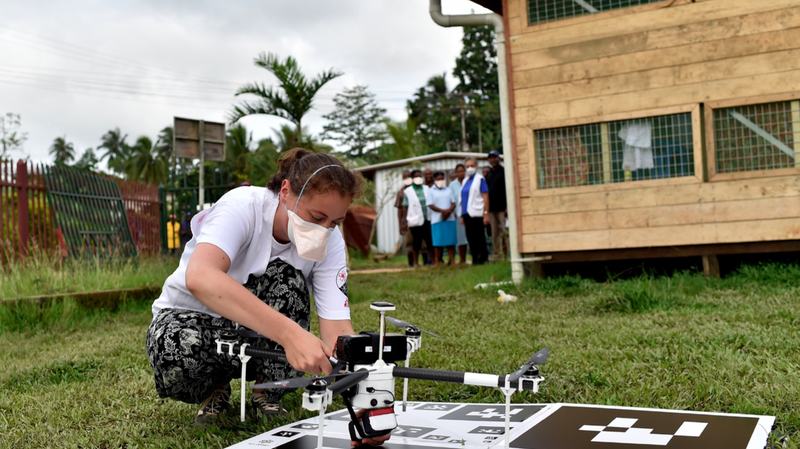 I had the opportunity to learn more about the logistics and operations of payload UAVs while advising a well-known public health NGO in Liberia as well as an international organization in Tanzania. This advising led to conversations with some of the leading experts in the UAV-for-transportation space like Google Project Wing, Matternet and Vayu for example. Below are just some of the questions you’ll want to ask when you’re considering the use of UAVs for the transportation of small payloads. Of course, the UAV may not be the most appropriate technology for the problem you’re looking to solve. So naturally, the very first step is to carry out a comparative cost-benefit analysis with multiple technologies. The map below, kindly shared by Matternet, is from a project they’re working on with Médecins Sans Frontières (MSF) in Papua New Guinea. 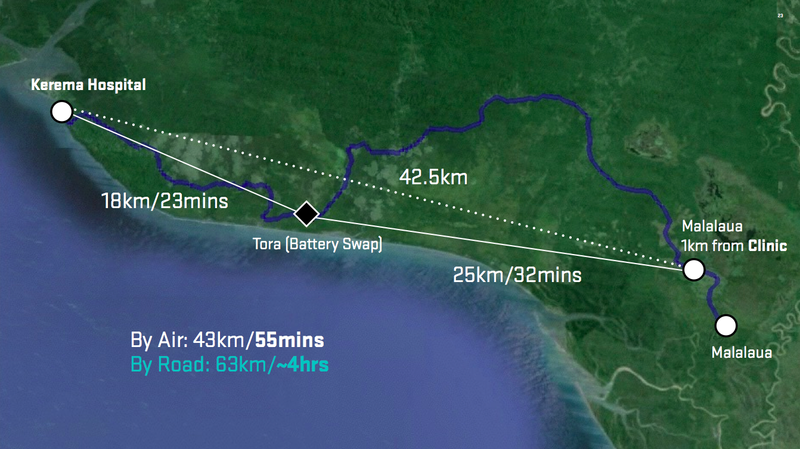 Why does it take some 4 hours to drive 60km (40 miles) compared to 55 minutes by UAV? The pictures below (also shared by Matternet) speak for themselves. What is maximum, minimum and the average distance that the UAV needs to fly? How frequently do the UAVs need to make the deliveries? How much mass needs to be moved per given amount of time? What is the mass of individual packages (and can these be split into smaller parcels if need be)? Do the packages contain a mechanism for cold transport or would the UAV need to provide refrigeration (assuming this is needed)? What do the take-off and landing spaces look like? How much area, type of ground, size of trees or other obstacles nearby? What does the typology between the take-off and landing sites look like? Tall trees, mountains, or other obstructions? Regarding batteries, is there easy access to electricity in the areas where the UAVs will be landing? Is there any form of cell phone coverage in the landing areas? What is the overall fixed and variable cost of operating the payload UAVs compared to other solutions? What impact (both positive and negative) will the introduction of the payload UAV have on the local economy? Naturally, Google and Matternet are not the only group out there developing UAVs for payload transportation. Amazon, DHL and others are prototyping the same technology. In addition, many of the teams I met at the recent Drones for Good Challenge in Dubai demo’ed payload solutions. One of the competition’s top 5 finalists was Drone Life from Spain. They flew their quadcopter (pictured above) fully autonomously. What’s special about this particular prototype is not just it’s range (40-50km with 2-3kg payload) but the fact that it also includes a fridge (for vaccines, organs, etc.,) that can be remotely monitored in real-time to ensure the temperature remains within required parameters. At some point in your planning process, you’ll want to map the landing and take-off sites. 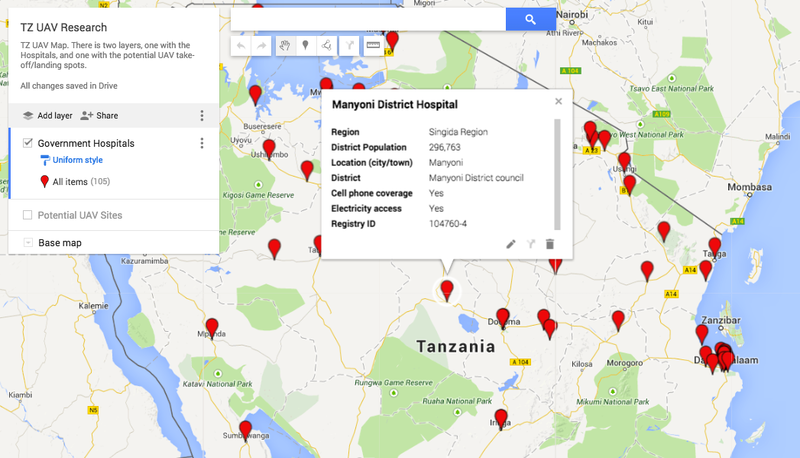 The map below (click to enlarge) is the one we recently produced for the Tanzania UAV project (which is still being explored). Naturally, all these payload UAV flights would be pre-programmed and autonomous. If you’d like to learn more about how one programs such flights, check out my short video here. One other point worth keeping in mind is that UAVs need not be independent from existing transportation infrastructure. One team at the recent Drones for Good Challenge in Dubai suggested using public buses as take-off and landing points for UAVs. A university in the US is actually exploring this same use case, extending the reach of delivery trucks by using UAVs. Of course, there are a host of issues that one needs to consider when operating any kind of UAV for humanitarian purposes. These include regulations, permits, risk assessments and mitigation strategies, fail safe mechanisms, community engagement, data privacy/security, etc. The above is simply meant to highlight some of the basic questions that need to be posed at the outset of the project. 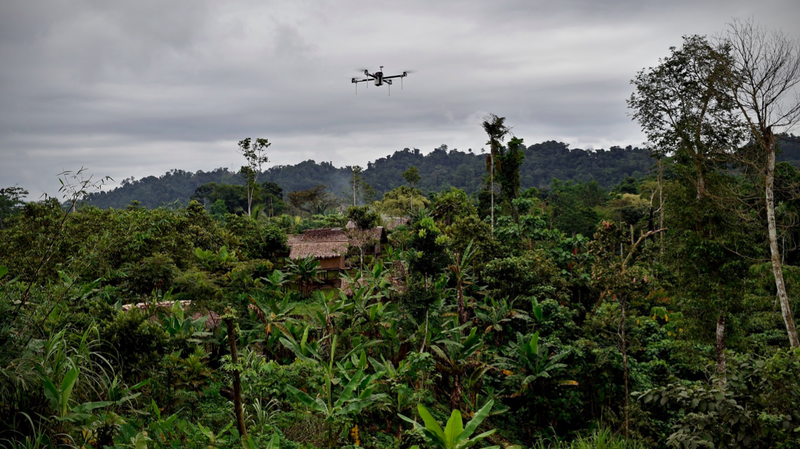 Needless to say, the very first question should always be whether the UAV is indeed the most appropriate tool (cost/benefit analysis) for the task at hand. In any case, the above is obviously not an exhaustive list. So I’d very much welcome feedback on what’s missing. Thank you! This entry was posted in Drones/UAVs, Humanitarian Technologies and tagged List, Matternet, Payload, ProjectWing, Transportation, Vayu, WHO. Bookmark the permalink. I am a doctoral student in Aviation (UAVs) with a specialty in Emergency Management. I am exploring the topic in great depth concerning the use of UAVs in humanitarian assistance across all sectors of Emergency Management . I enjoyed your topic and we are currently exploring several of the areas mentioned above. Many thanks for reading, Shawn. Would be great to learn more about what you’re exploring. Terrific article. 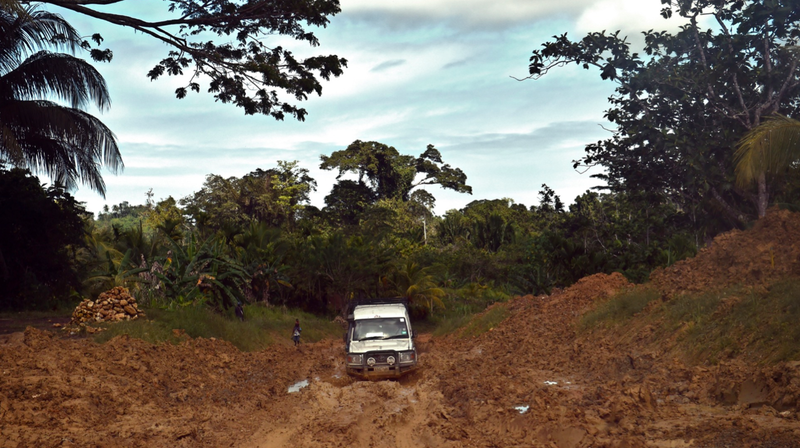 I think UAVs have a great future in humanitarian relief especially in countries where there isn’t a great road infrastructure. Will make life a lot easier than digging the jeep out of a trench in a jungle.